Please Cheer for Eric LeGrand! 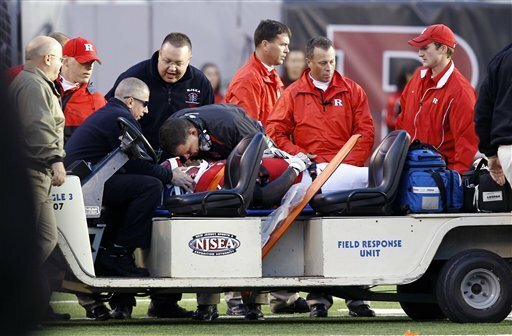 Rutgers University football player Eric LeGrand was grievously injured during Saturday's game against Army. He currently has no movement from the neck down. He has passed through the 72-hour "window of hope" with apparently no improvement. He is currently at Hackensack University Medical Center. Please send your best wishes to Eric and his family by clicking HERE. You can read more about Eric HERE. My thoughts are with him and his family! I actually have a feeling I know what they're going through! I was lucky with my son, I sincerely hope time will heal!